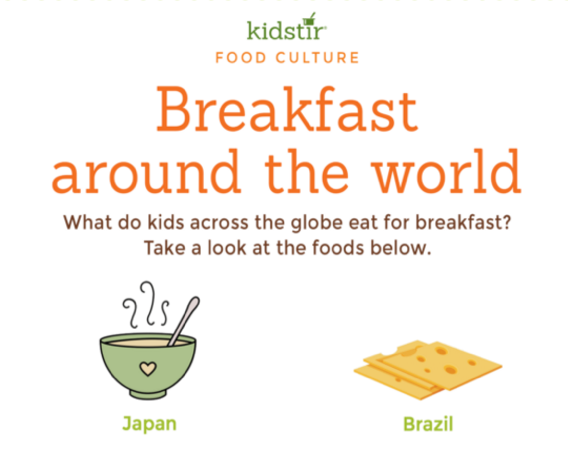 What Do Kids Eat for Breakfast Around the World? Children around the world enjoy very different food from those in the United States. We’re used to either cereal and milk or ham and eggs, while children in Japan enjoy rice, fish and miso soup. Kids in Brazil eat more familiar foods like cheese, bread and ham for breakfast. Would you like to try bread, butter and chocolate sprinkles in the morning like kids do in Holland? How about tomatoes, cheese, spiced meats and olives like they do in Greece each day? Our friends down under in Australia eat a salty spread called vegemite on toast for their first meal of the day. 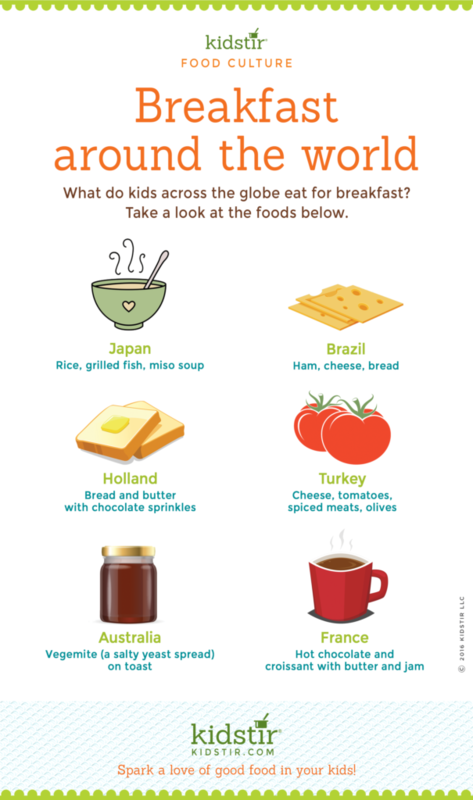 It could be fun to travel to other countries to see how others prepare their morning meals, but you can try these in your own kitchen if you’d like to see what it’s like to have worlds kids breakfast foods. In France kids love a breakfast of hot chocolate with hot croissants and butter with jam. In many Latin American countries kids are used to having coffee with milk, just like their parents do, according to this NY Times magazine article, kids even have soured milk in Britain, Asian countries and in Africa. A child in southern India might have a breakfast dish called idli, made of fermented lentils & rice.